Product prices and availability are accurate as of 2019-04-19 03:17:59 UTC and are subject to change. Any price and availability information displayed on http://www.amazon.com/ at the time of purchase will apply to the purchase of this product. 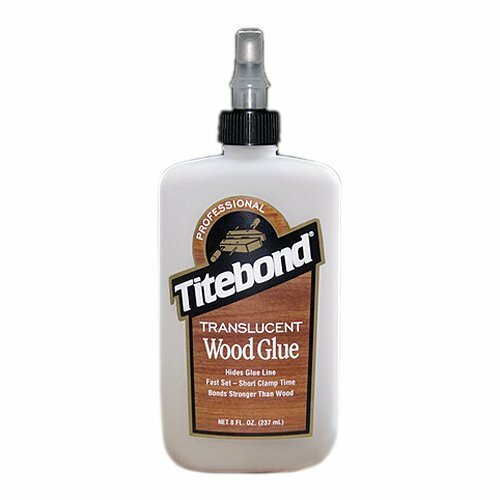 Titebond is known for the best in construction adhesives, flooring adhesives, caulks and sealants, as well as the industry's most renowned line of woodworking glues. Titebond 8 oz. Translucent Wood Glue. Virtually invisible glue line. Provides a fast set and strong bond. Excellent heat resistance. Safe formula, no solvent vapors. Easy water clean-up and non-toxic. Sets faster than most other white glues.